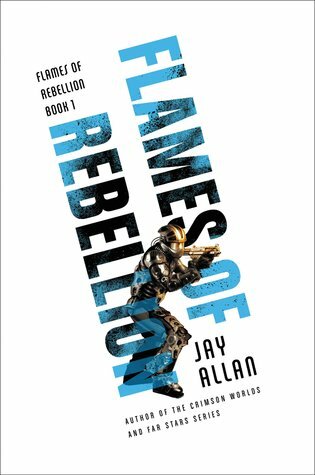 A group of rebels fighting for independence sows the seeds of revolution across the galaxy in this blockbuster military sci-fi adventure from the author of the Crimson Worlds and Far Stars series. The planet Haven slides closer to revolution against its parent nation, Federal America. Everett Wells, the fair-minded planetary governor, has tried to create a peaceful resolution, but his failure has caused the government to send Asha Stanton, a ruthless federal operative, to quell the insurgency. Wells quickly realizes that Stanton has the true power . . . and two battalions of government security troops—specifically trained to put down unrest—under her control. Unlike Wells, Stanton is prepared to resort to extreme methods to break the back of the gathering rebellion, including unleashing Colonel Robert Semmes, the psychopathic commander of her soldiers, on the Havenites. But the people of Haven have their own ideas. They are not the beaten-down masses of Earth, but men and women with the courage and fortitude to tame a new world. Damian Ward is such a resident of Haven, a retired veteran and decorated war hero, who has watched events on his adopted world with growing apprehension. He sympathizes with the revolutionaries, his friends and neighbors, but he is loath to rebel against the flag he fought to defend. That is, until Stanton’s reign of terror intrudes into his life—and threatens those he knows and loves. Then he does what he must, rallying Haven’s other veterans and leading them to the aid of the revolutionaries. Yet the battle-scarred warrior knows that even if Haven’s freedom fighters defeat the federalists, the rebellion is far from over . . . it’s only just begun. “Hey, Grant, let’s go, man.” Tomas Lopez spoke angrily, his face twisted into a scowl. He held a heavy bar of steel in one hand, and the other was raised above his head, curled into a defiant fist. He stared at Jamie Grant for a few seconds, as though he expected his fellow prisoner to leap up and rush to his side. But Jamie just stood next to the exposed rock wall and looked back. “C’mon, Grant!” Lopez repeated. “It’s time. We’re shuttin’ down this whole damned mine this time. Ain’t nuthin’ gonna stop us. They won’t have no choice. They’ll have to listen to us when the ore stops flowin’!” Lopez stood about two meters away from his workmate, his grimy coveralls almost black from the ore dust that hung in the very air of the mine. There was rage in his face, and it seemed to radiate all around him. There was activity everywhere in the massive cavern, and more angry yells. Dozens of mine workers, hundreds perhaps, were streaming away from their workplaces. They almost acted as one, grabbing tools, metal bars, anything that looked remotely like a weapon. They were shouting, a riotous cacophony of rebel slogans along with more generic cries and screams. The sound reverberated off the low ceilings of the tunnel, and Jamie could barely hear his friend’s words over the din. “Not me, Tomas.” Jamie’s voice was grim, somber. He looked around the mine, feeling a wave of surprise at how many seemed to be joining the instigators. There had been work stoppages before, and a few outright riots, but this looked like something bigger, more dangerous. He felt the urge, just as his comrades did, to strike back against the federals, against the system that had stolen so much of his life. Against the guards who too often took sadistic delight in their work. But he couldn’t. He wouldn’t. There was something more important to him, and he struggled to stay focused on that. Jamie had seen his share of disciplinary actions for sure. He’d been fifteen years old the day he was arrested for the third time. He’d gotten off twice before that with a flogging and a reduction in public assistance, but he’d only stolen food those times. The last time he’d taken money . . . and he’d used it to buy a hit of Blast. It hadn’t been for him, but for his mother. But that hadn’t made any difference. Alicia Grant was a good-natured woman who’d become addicted to the drug when she’d been issued a month’s supply to deal with her grief after Jamie’s father was killed. Harold Grant had been shot when the federal police cracked down on a street rising. He’d lived for almost two hours, lying bleeding on the pavement, but by the time the authorities got around to the wounded rioters, it was too late. I currently live in New York City, and I've been reading science fiction and fantasy for just about as long as I've been reading. My tastes are fairly varied and eclectic, but I'd say favorites are military and dystopian science fiction and epic fantasy, usually a little bit gritty. I write a lot of science fiction with military themes, but also other SF and some fantasy as well. I like complex characters and lots of backstory and action. Honestly, I think world-building is the heart of science fiction and fantasy, and since that is what I've always been drawn to as a reader, that is what I write. I've been an investor and non-fiction writer for a long time, a fiction author more recently. When I'm not writing I enjoy traveling, running, hiking, reading. I love hearing from readers and always answer emails. I think you stop growing as a writer if you stop listening to readers. Among other things, I write the bestselling Crimson Worlds series. Join my mailing list at http://www.crimsonworlds.com for updates on new releases.